Darcy is Harry Styles daughter. 13. Beautiful. Smart. But. She is different. She's a singer. With leukemia. 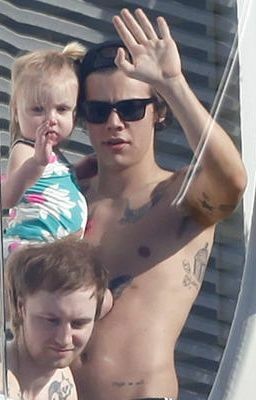 Harry and his girlfriend Harmony Jensen had Darcy when they were young. 18. To be exact. But unfortunately Harmony, died in a car crash 2 years later. Harry having to tour and take 2 year old Darcy with him on tour was hard. But now since One Direction are taking a break from touring Harry and Darcy can take a break. But not for long.